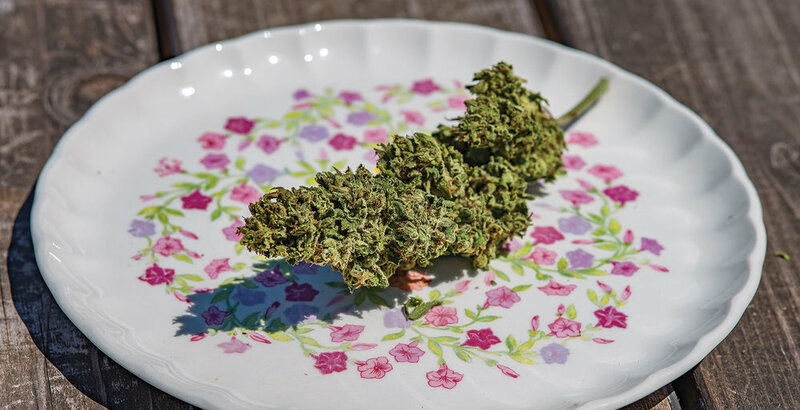 When I first smelled HiFi Farms’ Island Sweet Skunk, I was transported into a glorious, grapefruit-infused dream; like pure, sun-drenched heaven, the flower smells almost balmy. Happily, there was no bait-and-switch — smoking this sweet cannabis followed in the footsteps of my first aromatic impression. I felt calm, relaxed, at ease; not land-locked at all, just able to settle into my surroundings and enjoy myself. I took a leisurely walk with my pig, Pearl, down the sidewalks of our Portland neighborhood, reveling in the world around us. Try this yourself and enjoy a sweet walk of your own — pig or no pig, you’ll have a splendid time.